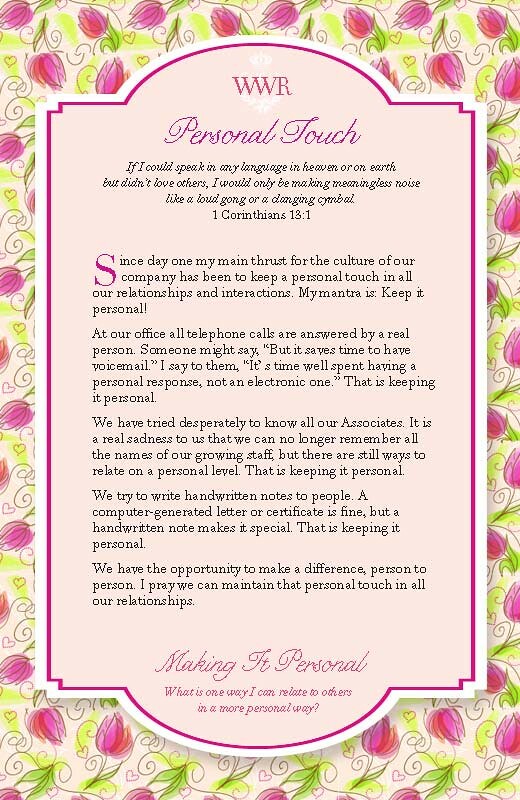 We are proclaiming May as “Keeping It Personal” month. Our Co-Founder, Joan Horner, was passionate about keeping the personal touch in everything we do at Premier, especially with regards to Home Shows and our Hostesses and customers. Below is an excerpt from Joan’s “Keeping It Personal” book.